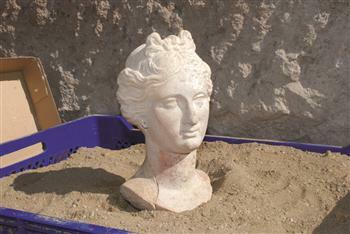 TURQUIE – Hieropolis - The head of an Aphrodite sculpture has been found during excavations at the Plutonium Inn in the ancient city of Hierapolis, according to the leader of the dig team. “We found a Dionysus sculpture. This sculpture has a body but no head; this is why the head of Aphrodite is very unique,” said the Italian head of the excavation team, Professor Francesco D’Andria. “It was made in the Hellenistic era; its face and hair show the Hellenistic style. It has holes for earrings.” Previous discoveries at the city reveal that Hieropolis was visited as a holy place as early as 6 B.C. Marble sculptures that were discovered during the recent excavations alongside the Aphrodite sculpture have been removed from the ancient city and are now being kept in the depot of the Hierapolis Archaeology Museum. Archaeologists have been conducting excavations at the ancient city since 1957. INDE – Bhubaneswar - Incessant rains across coastal Odisha has left the archaeology wings of both the State and the Centre worried with scores of monuments facing serious waterlogging. While flood has threatened some important monuments, pounding rains in Bhubaneswar, the city of temples, has left important temples flooded. The surging Budhabalanga entered the premises of Rasikaray temple in Haripurgarh of Mayurbhanj. An important image in the monument was reportedly damaged. 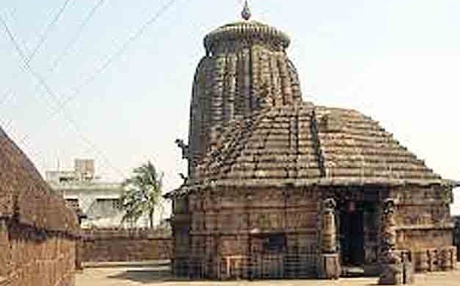 Similarly, the Jagannath temple in Jajpur too has faced a similar fate, sources said. These two monuments are under the coverage of the Archaeological Survey of India (ASI). Similarly, the 8th Century Vaitaal temple, located in the neighbourhood of Lingaraj temple, was flooded by storm water forcing the ASI officials to engage pumps to draw out water. The Megheswar temple also saw acute waterlogging.Megheswar temple, a 12th century temple in Tankapani Road, was also partially inundated. So was Brahmeswar temple. INDE - Srirangam - The state archaeology department had been pushing for carrying out early excavation at Srirangam, the temple town near Trichy. In the explorations conducted in and around Srirangam in the past, archaeologically significant antiquities dating back to the Sangam and Chola period were recovered. Explorers had also noticed the existence of megalithic sites in Trichy and Uraiyur. Srirangam is one of the noted 108 Vaishnavaite pilgrim centres and houses the famous Sri Ranganatha Temple. 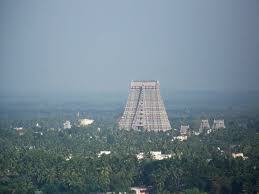 Its 'rajagopuram' is the tallest tower in Tamil Nadu. The presiding deity of the temple has been eulogised by almost all Vaishnava saints. Inscriptions of Chola kings from 9th and 10th centuries were the earliest epigraphical records found in the temple so far. They throw light on the political, social and cultural life of those who lived during the period. Government sources say the proposed excavation site is likely to be near the hall of 1,000 pillars. Earlier in April this year, the state's consultant archaeologist Dr K T Narasimhan unearthed a potsherd with a rim, which was comparable to the Harappan fabric. He was on a mission to find out the foundation of the seven temple pathways (praharas) in the Ranganatha temple when he stumbled upon the artefact. "The town has been sung about in Sangam literature. The inscriptions suggest Chola kings had strengthened the bunds of this island town," he said. The inscriptions remind people of the floods that had inundated earlier settlements. It all started last January last, when an earthmover which began digging the earth for laying foundation for the government's Yatri Nivas unearthed a copper pot full of miniature bronze icons of deities and artefacts on the river bank in Srirangam, which dated back to the Chola period. During an inspection, archaeologists unearthed some pieces of potteries, believed to be more than 2,000 years old. USA – Beaufort - State underwater archaeologists hope to bring up five cannons and other artifacts Monday from the Queen Anne’s Revenge shipwreck in Beaufort Inlet. The cannon raising will end the fall dive season for researchers, who have been at the site since August. Archaeologists brought up two other cannons in June, making 15 retrieved from the shipwreck since its discovery in November 1996. The site was turned over to North Carolina because of its historical significance and researchers have been excavating the site since 1997. 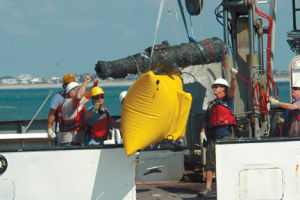 So far 27 cannons have been discovered, and about 280,000 artifacts have been retrieved, including a ship’s bell, anchors, navigational and medical instruments.The goal is to retrieve all artifacts by the end of 2014 because of deteriorating conditions at the site, due in part from numerous hurricanes that have hit the coast since the mid-1990s. The cannons and other artifacts have been on the ocean floor for nearly three centuries, going down with Blackbeard’s flagship, which ran aground near Beaufort in 1718.